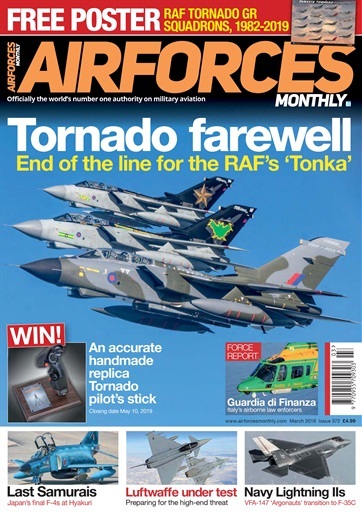 As the Royal Air Force prepares to bid farewell to what is arguably its most significant post-war aircraft type – the unmistakeable swing-wing Tornado – the March issue of AFM pays tribute to the Tornado GR Force. 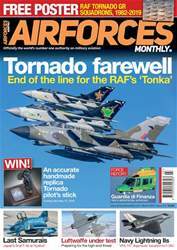 Thomas Newdick spoke to some of the last crews active on the force, Jamie Hunter met Air Commodore Ian Gale and there’s a free poster showing every RAF squadron to have flown the ever-popular Tornado GR. In Germany, the Tornado is still going strong but the search is on for a replacement for the 89 ageing fighter-bombers due to be retired from 2025. 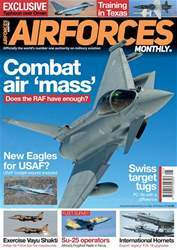 With the F-35 now out of the running, Jon Lake looks behind the headlines, while Dr Stefan Petersen checks in on the Luftwaffe as it assesses its national defence capabilities in the air arm’s largest exercise of recent years. And, as a new wave of fighter competitions takes shape across Europe, Alan Warnes assesses the other nations’ requirements. There’s more exercise action from El Centro, California, where Vortex Warrior provides desert environmental qualification for the RAF’s Chinooks heavy-lift helicopters. We also catch up with the Argentine Air Force in the Patagonian Andes, where the service practises flying in an environment that closely simulates operations in the Antarctic. 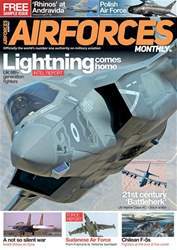 Coverage of fighters old and new includes the transition to the Lightning II by the VFA-147 ‘Argonauts’ – the first frontline F-35C squadron – and plans for the final F-4 Phantom IIs of the Japan Air Self-Defense Force. 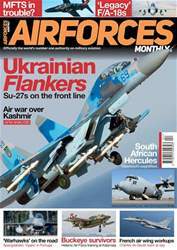 Other regular features include Air Marshal (ret’d) Greg Bagwell CB CBE’s take on one of the most hazardous missions faced by modern fighter pilots – suppression or destruction of enemy air defences, while the latest of our fleet survey series concludes our analysis of Frogfoot operators among the former Soviet states by focusing on Turkmenistan, Ukraine and Uzbekistan.